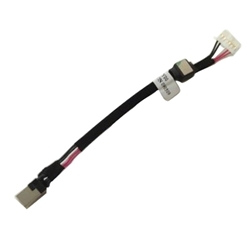 Description: New genuine Acer laptop replacement dc jack and cable. Part #'s: 50.PEA02.003, 50PEA02003, DC301007Y00, SINGATRON 090509. Acer Aspire 5534, 5538, 5538G.